Engineered and dyno-tested for the enthusiasts who wants the MOST from their Ranger, the Swept Side Exhaust will provide improved acceleration, maximized hill climbing, towing and passing power. Gibson's best performing exhaust system creates a DEEP, aggressive tone, and produces MAXIMUM torque and horsepower gains at low-end (1800-3000) RPM. This exhaust system exits behind the rear tire near the location of your stock exhaust. It's designed to be quieter in the cab than any other performance exhaust. 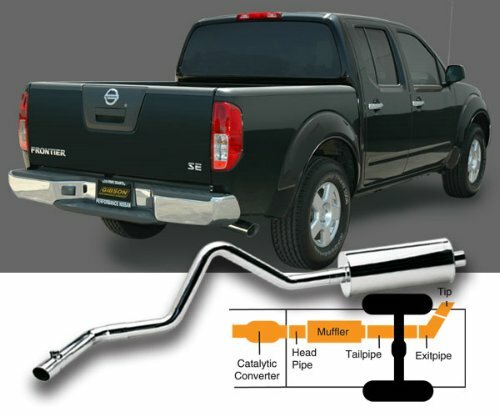 The Swept Side exhaust is an ideal system for towing, heavy-duty enough for the off-road, AND may improve fuel economy. The typical horsepower gains average between 15 - 20 HORSEPOWER.